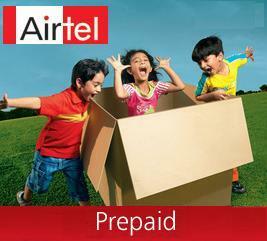 Bharti Airtel today announced the launch of youth specific pack in Gujarat telecom circle. The ‘Youth Pack’ comes with Tariff and VAS benefits. One can avail free Night calling enjoy free FM radio,SMS & GPRS offerings, the product has everything bundled together to the liking of today’s youth. The fully loaded youth pack has Night Calling for which an Airtel customer can call Local Airtel to Airtel at just Rs1 for 20 minutes, 200 SMS Free per day for 365 days, 200 MB surfing free for 7 days, Free Voice Blog ,Mirchi Mobile – where an Airtel customer can listen to Radio Mirchi FM from any part of the country, Love Tips, 2 free action packed games, Friends Chat etc. Mr. Shivan Bhargava, COO, Bharti Airtel – Gujarat Circle said “We are pleased to bring Youth Pack, a very lucrative offer for our customers that strengthens this relationship with the vibrant youth of Gujarat. Our mobile customers would be able to enjoy Night Calling and SMS facility, Free Voice Blogging with renowned bollywood celebrities, play exciting games, Chat with friends, listen to FM stations of Mumbai, Delhi, Ahmedabad, Bengaluru, Kolkata, Hyderabad, Chennai and many other cities on their Airtel mobile. FYI-Price of Youth Pack is Rs 40. HI. ON 26 APRIL i applied for portebility on AIRTEL network also i applied in vodafone but 0n 30 april i received message from vodafone that your current network not ready to port out you.when i contact cust.care officer at least i call 5 time then they said we got conformation from you that you will not port out although i never gave such type of conformation.